One of the things I hear regularly from people is that the quality of their job interviews – and their success rate – soared after they changed the way they were preparing for them. I’m actually convinced that the best thing you can do ahead of a job interview is to prepare for it about twice as much as you think you might need to. At New York Magazine today, I put together a step-by-step guide to how to prepare for an interview. You can read it here. what does it mean to “be yourself” in an interview? I tend to ask a lot of questions throughout the interview, should I save those for the end instead. I just feel like it’s more of a conversation and lets us each know what page we’re on. I never really thought it was a negative but maybe not having additional questions at the end hurt me sometimes. Having an interview be conversational throughout is perfect! But if you can, I’d still try to have a couple of questions for the end when they ask for questions. Yeah I’m a very ask it when it pops up kind of person and then all the prepared stuff gets answered. I guess I’ll have to think of some questions that probably can’t be answered in a natural flow of an interview conversation. I’m exactly the same way. Up until now I don’t believe it’s hurt me. I usually make a point of telling my interviewers (or rather, reminding them) that they’ve done a very nice job of answering all of my questions and thanking them. Which is usually true. Otherwise I would be following up with questions. You know, the problem is that they keep asking if I have more questions, so at some point I have to say no, and then I internally panic. I might be overthinking this. But I’m a little surprised that *all* your questions can be asked in the normal flow of their questions for you. For example, Alison’s previously recommended “What’s the difference between a good performer and a great performer?” is one that I find rarely has a natural opening. I also like to ask “What do you enjoy most about working here?”, because their reaction can give a lot away, but that tends not to come up either. A timely column for me! I’ll be putting some time into these steps in the next couple days! I agree! I was job searching for 3 years before I got hired. My cover letters can’t have been awful – I got interviews – I even got asked back. But I didn’t land anything till after taking AaM advice on how to prep. I found the advice to look up interview questions for your field to be really helpful. I found a guide that even explained what people are looking to find out when they ask. I wrote out my answers and practiced delivering them. I was way more at ease after that and said what I wanted to say instead of realizing what would have been better afterward! NOW you write this! I just landed a library director position after being out of work for three frantic months and about 7 online and in-person interviews, and my success rate for getting the interviews climbed enormously after reading this site … but I was having issues translating the interviews into offers. Looking over the advice, I wish I’d gone through the prep each and every time instead of once. And I wish that I’d gone through all the prep listed instead of my abbreviated approach. I *really* recommend this approach! I’d also love to know how much one can push back against a recruiter. I’ve had recruiters tell me things like, “Obviously we can’t put you forward for this job”. It’s not obvious to me, but in the moment it’s difficult to know how to question them without torching my chances to be considered for another position. It may be that there IS a valid reason but their not voicing it makes me go to dark places and it’s hard enough to avoid being discouraged to begin with. I don’t spend nearly as much time prepping for an outside recruiter. The first interview is more of a phone screen, and they’re usually trying to sell *me* on the role rather than me trying to convince them that I’m the right candidate. My worst interviewing experience was with a recruiter. It was clear she was just going down a list of questions that every candidate got, she couldn’t tell me anything more about the position, and every question I had prepared was specifically geared for the hiring manager (asking about culture, why do you work here, etc). It was awful and the whole tactic threw me off guard. I think it requires a different style of preparation altogether. Maybe I just had a crummy recruiter though. I don’t see why you can’t ask for some clarification on the “obviously we can’t…” comment. I’d ask something like “What skills/qualifications/experience are you looking for that aren’t apparent from my resume?” (Said in a pleasant, inquisitive tone, not an accusatory one) Or, “what do you recommend I change/do/acquire in order to be a more competitive candidate for positions like these?” Or if you want to take it away from you, ask the recruiter “what does your typical/usual candidate posses in terms of qualifications/experience to move on in the interview process?” Once you have more information, you can determine whether there’s anything you can do (gain certifications, undertake special projects in current job, stick it out for a longer time) or whether there’s not (the organization only wants people with XYZ background, which you don’t and will never have). At the very least, that keeps you out of the dark place that says “I’m not qualified.” You may be perfectly qualified and still not fit what the company/recruiter envisions. Here’s a personal example: I have a LOT of experience in higher education, which I generally consider a net benefit in understanding the culture, the organizational/budgetary challenges, student interests/deficiencies/goals, etc. I know how a significant sector of higher education operates and have demonstrated success navigating and producing in that environment. NONE of that means anything if the hiring committee decides that my particular flavor of knowledge and expertise is not congruent with the norms/values of its organization, or if they want a “disruptor candidate” who has no higher ed background (sometimes this choice works well; other times it’s a spectacular culture mis-match), or a desire for the candidate to have a PhD. I can’t control their desires, nor can I go back in time to gain 10 years of HR experience, nor am I going to spend 3-5 years obtaining a credential that will allow me to advance in the selection process with this one particular employer. TL;DR: asking the question may tell you want you need to do next. At the least, it may allow you to reframe and move on without self-recrimination: my background is perfectly cromulent; it just doesn’t fit what they want. You: I’m afraid that I don’t follow you. Can you tell me why you can’t put me forward for this job? In my large metropolitan area, most recruiters are external (meaning: they are salespeople: they sell you on the job, they sell the company on you) and you can push back quite a lot. I have simply stopped replying to the recruiters who only tell me the job but not the location. I ask for the client (or at least the city) and ask what rate the client offers, and tell them my floor. Mostly that gets me the info I need. This is worthwhile because it’s not worth my time putting effort into something that I won’t accept, and therefore it’s not worth their time either. You can also be up-front about seeing the same position from multiple sources because a lot of companies won’t look at you at all if you get double-submitted, and they should know that. And if you don’t yet have your resume posted someplace (Indeed, Linked In, Monster) do that. The passive job search is a wonderful thing. You get a lot of dreck to sort thru but I have been approached by the actual hiring company more than once, which tells me that it’s worth the effort. Just be really really clear what you want to do and what your skillset is so you don’t get too many off-base inquiries. But keep remembering: recruiters are in business. Don’t defer to them. You have something they want to buy from you. You are equals. 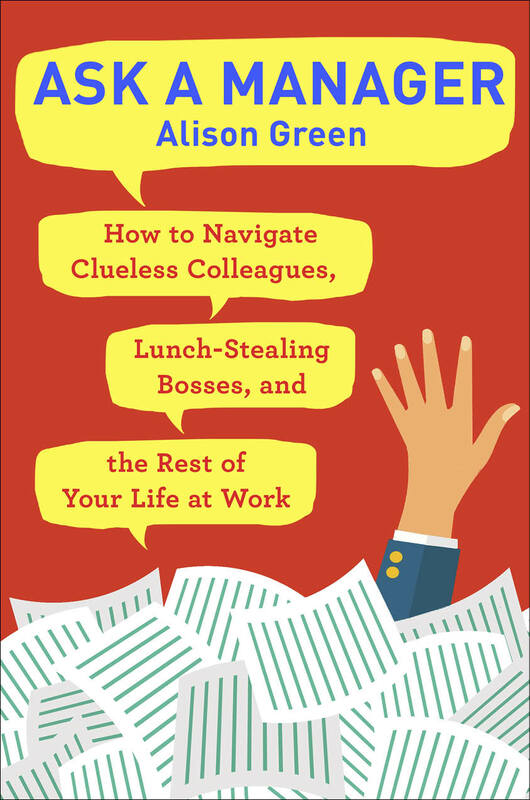 I’ve generally had good luck interviewing/getting a job offer throughout my career, and I think Alison is right on with staying in the right frame of mind. I try to be myself, so they know what they’re getting when I start working (no surprises); if they don’t like the real “me” in the interview, I sure don’t want to work there. As I have been the interviewer as well as the interviewee on many occasions, I always remind myself that the interviewer is HOPING that I will be great so she can fill the position/solve the problem quickly; so I figure that I’m already starting out with her liking me, and I do everything I can to avoid changing her mind! Most importantly, I remember that this is a two-way street, and I have to evaluate the employer as well; I once went on an interview for a support position at a high-profile organization, where I’d be booking folks at exciting locales, talk shows, etc. But I realized that I wouldn’t be the one doing the traveling or meeting all the famous people or being photographed for all the media; taking away the celebrity, it was a basic admin job in a rather run-down office with not-so-great benefits and pay. So I passed on it, waiting until the right job FOR ME came along. Attitude is everything! I did all of these before my last interview (based mostly off of advice you’d given throughout this column – it’s great that it’s all in one place now), and got the job offer! I didn’t think writing out (not typing, actually handwriting them) would make a big difference, but having them written and saying them aloud to my partner was incredibly helpful. I got to hear when things didn’t make sense, and also found that some answers were weaker than I thought they were. When we got to the questions portion at the end, I asked a few, and for one in particular, the response was “wow, we hadn’t thought about that – that’s a great question.” It showed I was invested in succeeding in the role. I do my practicing out loud in the car and in the shower. Both locations are private enough, and it feels less awkward to practice when I’m not staring at myself in the mirror. I can also vouch for it working for other kinds of tricky conversations, too. Sometimes you just want/need a delicate touch in exactly how you phrase a message, and hearing it out loud will help you catch those nuances of tone that can really change how your audience receives it. I’m a professional writer, and I read aloud a lot of what I’m writing. Sometimes I’m muttering as I type, other times I print it and read it thru, making notes for changes. (And yes, I DO use a red pen!) It really makes a huge difference to understandability. 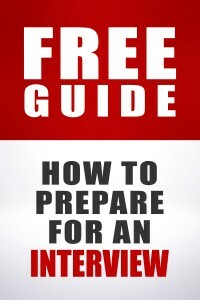 I’m going to put in a plug for Alison’s Free Guide for Preparing for an Interview (it’s right there on the right side of your screen) which is a more detailed version of this article. I had a few phone interviews that didn’t go anywhere before I used the guide. I decided to use it for 2 jobs I was really interested in. I made it to the second in-person round for both and got a job offer last week! The technique really boils down to upping your confidence by being prepared. It’s a great resource and primer to do just that! I used that guide as well recently and wound up with two job offers! And I’ve mentioned the guide (and AAM in general) to friends that are just beginning job searches. 1) Be yourself. It’s not necessary to be an eloquent speaker, and if you’re being judged for it, you’ll be judged once in your position in all likelihood. One of the most important things to understand about an interview is that it’s a two-way street. You are interviewing them just as much as they are interviewing you. The purpose of an interview is to determine if it’s a good fit on both sides. 2) Prepare in advance answers to questions that are typically asked, such as about your experience, how you would handle certain scenarios that come up in the workplace, your working style or (if applicable) management style, your communication style, whether you prefer working independently versus in a group. You don’t want to have to have more than a short pause before answering these questions. 3) Know in advance what the market rate for your position is (at least a range) and know in advance what your salary range is. The bottom of your range is the smallest amount you will accept (if they can’t offer that, you walk away without regret because the position won’t be the right fit). The high end of your range is what you will mention when asked about your desired salary. Your range should not be wildly out of whack from the market rate of the position on either end of the scale. Too much and they will lose interest in you because they can’t afford you, too little and they will question whether you have the skills and/or experience necessary to do the job. 4) Make sure you know certain things about the organization. You should know exactly what they do, who their main competitors are, and any major recent news items involving them. This will help you in formulating your answers to certain questions, which are best tailored to the organization you’re interviewing with. Not doing this basic research is one of the most common ways candidates can make things a lot more difficult if not totally disqualifying themselves. 5) If you are running late, call your interviewer immediately. Doing this as quickly as possible will minimize any bad feelings on the part of the interviewer. Explain what happened (it’s best when it’s out of your control, such as traffic, but even if you overslept, better to say that than nothing at all, it shows you are taking responsibility) and if you’ll be there within 20 minutes, tell them that. If you’re further away than that, ask them if they’d still like you to come in right then or whether they’d prefer postponing it to a later time. There are times where this won’t work and if you don’t make it at your scheduled time, you won’t be rescheduled, but in almost all cases, this would also happen if you are truly sick on that day, so you’ll have no choice but to write off that employer. But it’s out of your hands at that point. 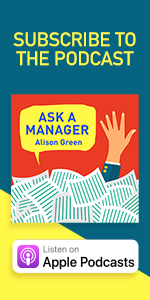 6) Don’t forget to ask probing questions of your interviewer. This is the time (particularly at the end of the interview) when you can find out, and should be finding out, critical pieces of information about the culture of the organization, how fast or slow paced the workflow is, how flexible the organization is, the working style of your manager to be (if you can’t find this out right then, make a point of asking to talk to your manager to be before accepting an offer), and anything else of importance to you. This, along with negotiating once an offer is made, is the best time to make sure this organization is the right fit for you. Wow, that’s really nice! You yourself might read the guidelines for commenting. Plenty of comments on every post every day are essentially versions of aam’s response, pretty often with a “my experience”anecdote. GregNY’s comment is right in line with that. The difference is, most commenters don’t get whacked at for their gender. Alison, this is another reason why people give up on reading the comments. Excellent tips, Alison! This will make my next interview prep session so much easier! Alison has the best advice and her “How To Get A Job” guide is well worth the price. I was laid off in 2005, before her guide came out. It wasn’t until I started reading AAM and following her advice – and the advice in the book, which I have bought and have recommended to many people – that I started getting interviews and finally three new jobs. When I was helping my boss recruit for a new position on my team, I got really impatient with the resumes, cover letters, and interview answers that were not AAM compliant. It’s so much easier when everyone does it the right way! When they ask you if you have questions, HAVE A QUESTION. Even if it’s a question someone else already answered — you might get a totally different perspective and that can be invaluable. I didn’t realize how valuable that was until recently, when I was on the other side of the hiring table, so to speak, and because of my schedule, was the last person the candidates met with. The person who wanted to hear my point of view as recently hired junior faculty got bonus points; the people who were like “Nah, I’m good” definitely got a (negative) mention in the comments I sent to the hiring manager. To be fair, if you are the last person they see, you may not be seeing them at their best. Remember that they have had a bunch of people expecting them to ask questions already, and they may be all questioned out. I know I’m at that point by the end of the day. I would add know EXACTLY how to get there. Don’t rely on heading out with a map on your phone the day of. For my big interviews I would even drive there a day or two before to make doubly sure you know the route and correct building. Nothing worse then driving around an industrial park getting later and later. Lipstick. Hairspray. Eyebrow pencil. You’re all set.